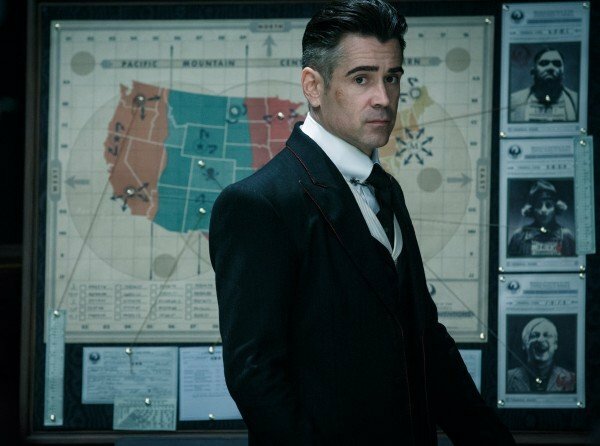 Golden Globe winner Colin Farrell will re-team with director Yorgos Lanthimos for a third time on an as-yet untitled dramatic television series for Amazon. Having delivered the critically acclaimed 2015 comedy drama The Lobster, and while filming the upcoming drama film The Killing Of A Sacred Deer, Farrell and Lanthimos have confirmed that they will join forces once more for a re-telling of the Iran-Contra scandal – with Farrell starring as Oliver North. The Iran-Contra scandal rocked the presidency of Ronald Reagan, as it transpired that senior administration officials had violated an arms embargo in order to interfere in the affairs of another country. Seven U.S hostages were being held by Hezbollah in Lebanon, and a deal was made for the secret sale of arms to Iran, to facilitate their release. Oliver North became a household name during the investigation into these events, as he was responsible for augmenting the plan to ensure proceeds from the sale of arms to Iran went to support the Contras in Nicaragua, who were using terrorist actions to wage war against the Nicaraguan government. North was a former U.S Marine Corps Lieutenant Colonel and was serving on the National Security Council at the time. He was tried in 1988, and convicted of three felonies – only for those convictions to be vacated in 1990, after appeals. Since then, North has become a recognizable political commentator, and a best-selling author. Farrell will play Oliver North, and the series is being based on scripts written by Enzo Mileti (Kingdom) and Scott Wilson. Ben Stiller and Nicky Weinstock are producing, and director Yorgos Lanthimos expressed his excitement at the opportunity to make the show with Amazon in a recent press release. Investigations into misdeeds at the highest levels of government certainly do feel very relevant to our times – and so the Head of Comedy, Drama and VR for Amazon, Joe Lewis, also detailed the elements that make this such a fascinating idea. There is no hint, yet, as to when this series might arrive in Amazon, but we will undoubtedly hear more announcements soon, as to which performers will be joining Colin Farrell in this Iran-Contra drama.